We are pleased to announce that we have finished work on the simplified game mechanics for the original War Thunder announcement anniversary date! We have already created one new vehicle - the SPS-255 (Special Purpose Sherman), which meets the requirements for the new mode completely. It is easy to control, it won’t drift, since it’s only able to achieve a speed of 6 mph (10 km/h). The tank is equally armoured all over with rubberized armour and doesn’t have any particular weak spots - all of them are equally weak. Two special shell types offered are not that different one from another - which allows users to not have to change their playstyle when they run out of the ammo that they are used to. Another difference from the rest of the War Thunder vehicles is that SPS-255 has a health bar - or so-called “hitpoints”, which may help users from other projects to adapt. The developers are certain that the new tank will be highly appreciated by new players, who have just begun to play War Thunder, as well as our already experienced tankers, who wish to take a break from the real battles with tanks made of steel. 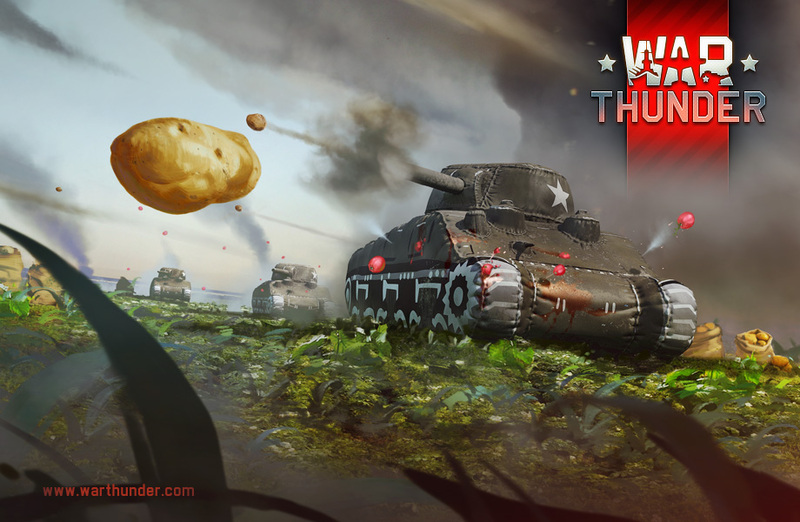 Try the SPS-255 and the new War Thunder mode in the “Events” tab! In this event, your selected lineup does not matter - just join the queue and have fun!